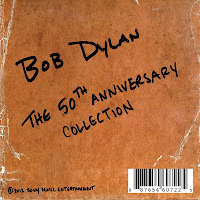 Last year, about 100 lucky Bob Dylan fans in Europe came across a pretty amazing find on record store shelves: a four-CD set titled The 50th Anniversary Collection. 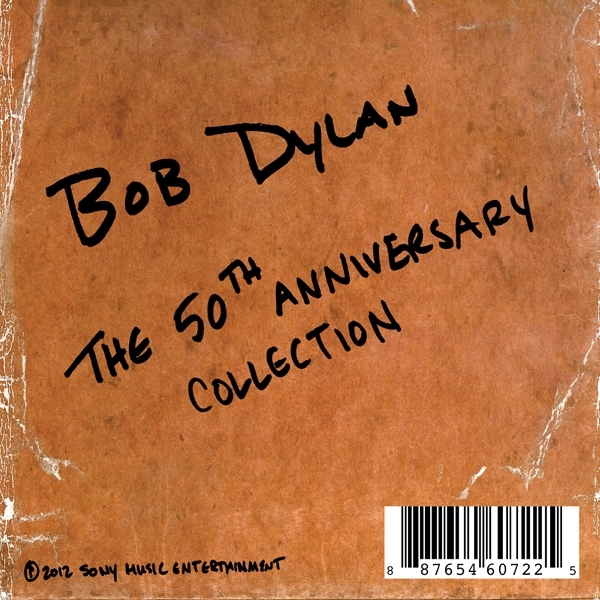 The set contains 86 Dylan songs recorded in 1962, including numerous takes of "Mixed Up Confusion," "Sally Gal," "That's All Right, Mama" and "Baby, Please Don't Go." Contrary to appearances, this was no bootleg. It's an official release from Sony and copies are already selling on eBay for upwards of $1,000. "This isn't a scheme to make money," a Sony Music source tells Rolling Stone. "The copyright law in Europe was recently extended from 50 to 70 years for everything recorded in 1963 and beyond. With everything before that, there's a new 'Use It or Lose It' provision. It basically said, 'If you haven't used the recordings in the first 50 years, you aren't going to get any more.'" Bob Dylan's 1962 debut LP became a part of the European public domain on January 1st, meaning anybody in Europe can release the music without paying Dylan one dime. "The whole point of copyrighting this stuff is that we intend to do something with it at some point in the future," says the source. "But it wasn't the right time to do it right after he released Tempest. There are other things we want to do in 2013 though." Roughly 100 copies of the collection were given to random record stores in France, Germany, Sweden and the United Kingdom. Fans who logged onto Bob Dylan's official website from France or Germany in the final days of 2012 were also allowed to download the collection for 100 Euros. These 86 songs, many of which have circulated in bootleg circles for years, don't even represent everything Dylan recorded in his first year on Columbia Records. "This isn't every shred," says a source. "But these are all fully realized songs and the kind of things fans would enjoy. Some takes were just 90 seconds or so long, and we didn't release those." Recordings by Miles Davis, Frank Sinatra, Chuck Berry and other stars of the 1950s and early 1960s hit the European public domain in recent years. Pressure mounted on lawmakers to change the law as it began to threaten the Beatles, the Rolling Stones and other superstars of the era. As the law stands now, songs released after January 1st, 1963 won't hit the public domain for 70 years. Expect that to change, however, shortly before New Years Day 2033.